The new Sonos Beam has been making its way into many living rooms across the country. We name some of the best features of the Sonos Beam, that we love here at Smart Home Sounds. Traditional soundbars are designed exclusively for your TV and therefore only output TV audio. 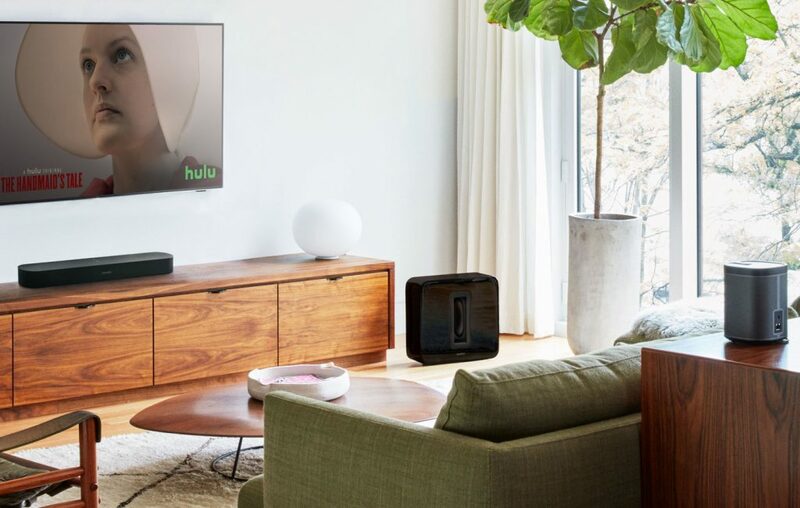 With the Beam, in addition to playing your favourite films and TV shows, you can stream music using your preferred music streaming service through the Sonos app, or even natively through Spotify. You can also immerse yourself in audiobooks, radio, podcasts or video games too. 2. Sonos Beam gets smarter over time with free software updates. 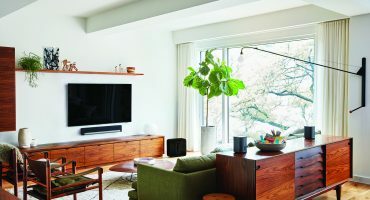 Sonos believe home audio is a category that should be invested in and built to last for a long time. 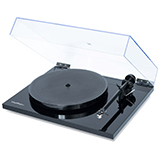 Their belief is echoed through free software updates accessible to all customers as soon as they are available. That means your speaker will grow smarter as it grows older, unlike the cyclical nature of the mobile phone industry. One of our customer’s favourite updates is TruePlay. 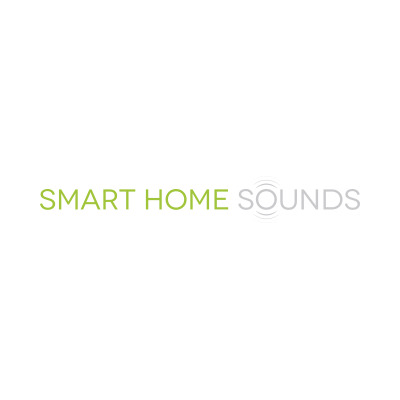 This is a smart function that allows all users of an Apple device to calibrate their Sonos speakers to be aware of their surroundings, and adjust its settings to output the best possible audio for that particular room. Sonos did this back in 2017 with the Sonos One smart speaker. Now, you can get a soundbar for your TV with Alexa voice control built in. This comes with many benefits such as the ability to turn your TV on and off hands-free, volume up or even changing channel (Amazon Fire stick required for that one). As well as using Alexa as a method to control your TV, you can ask Alexa anything just like you would on an Echo device. Now you have a home assistant that outputs unbeatable sound quality in the same unit! The Sonos ecosystem will also remain open for more voice assistants to be added in the future with Google Assistant confirmed to be added soon. Thanks to AirPlay 2 built into the unit, you can cast any audio from your Apple device directly to the Beam. One feature that was in high demand is the ability to listen to YouTube audio. With AirPlay 2 this is now possible. You can even use Siri voice assistant to start music playback on your Beam. 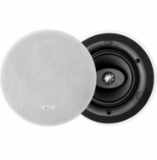 Another great perk is that your AirPlay 2 audio on the Beam can be sent wirelessly to your other Sonos speakers or third party AirPlay 2 speakers like Apple Homepod or B&O speakers. As Beam is only £399 RRP, you could add a pair of rear speakers like PLAY:1s for a total of £697, the same price as Sonos’ premium soundbar, Playbar or Playbase. This is ideal for small-medium sized living rooms for those wanting to achieve 5 channels of surround sound on a budget. 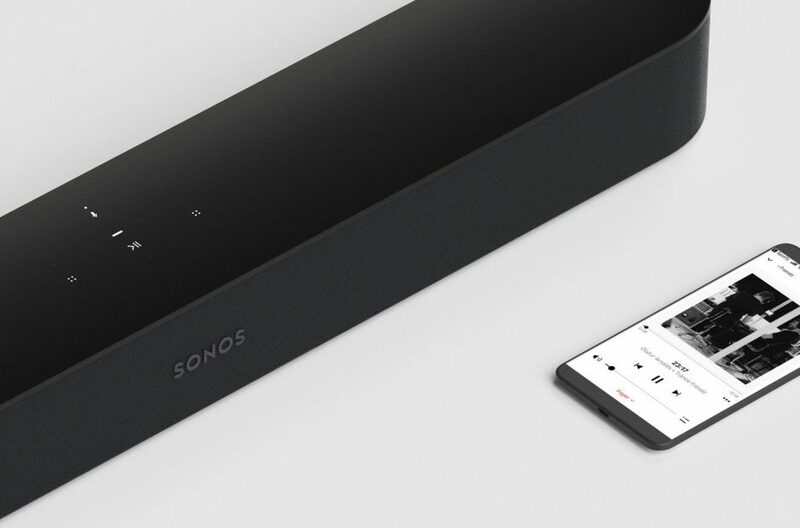 We love the appearance of the Sonos Beam. It’s modern, compact and doesn’t draw unwanted attention like some other soundbars might. 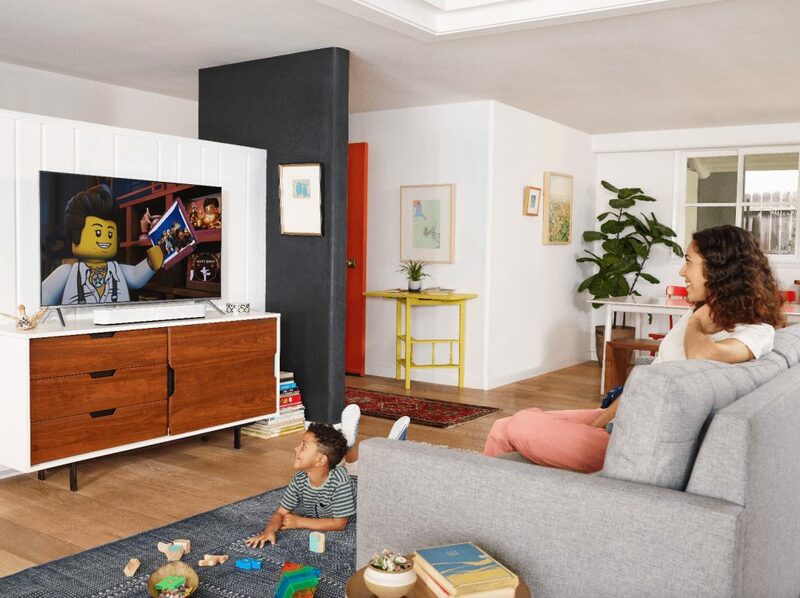 As the Playbar and Playbase are quite wide speakers, the Beam being a 1/3 smaller offers the perfect alternative that will fit whatever your TV set up happens to be. Flexson also have a range of accessories to mount your Beam to the wall or to your TV. 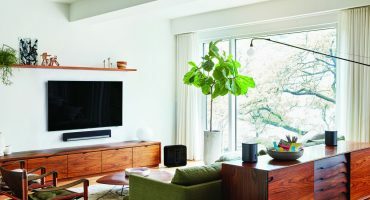 Following the announcement of the integration with IFTTT, allowing your other smart devices to set “if this, then that” commands with your Sonos, your home audio system will be able to do more than just play music. A new soundbar usually means yet another remote. Not in the case of the Sonos Beam. You can pair your existing TV remote with the Beam for volume control and mute in one simple step. This saves opening up the Sonos app just to change volume. 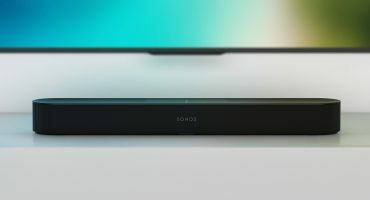 Beam works in the same way as Playbar and Playbase and can be paired wirelessly with Sub and a pair of rear speakers for 5.1 Dolby Digital sound. Speakers can be added at your pace, and it’s so easy to add a speaker or Sub to your system. But more importantly, adding a Sub and rear speakers offers a sound that words alone cannot do justice for. And most importantly, Beam really excels at producing crystal-clear vocals, deep bass and exceptional midrange. We very regularly hear positive feedback from customers about the Beam referring to how good it is at capturing all the intricate parts of the audio. We understand that features are great to have, but a soundbar is ultimately about listening! The Beam, despite being Sonos' smallest TV speaker certainly does not disappoint in the sound quality department. 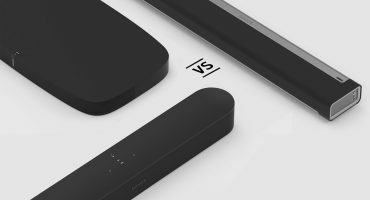 So why should the Beam be at the top of the shortlist for your soundbar options? Well, it will last you for many years to come and will get smarter with age. It is versatile and can play not just your TV sound but music and other content wirelessly from the Sonos app. Bolstered by AirPlay 2 functionality and an open voice platform built in currently with Amazon Alexa, we don't believe there are any other soundbars on the market offering the same level of features and quality at this price point.